Mexico makes history. 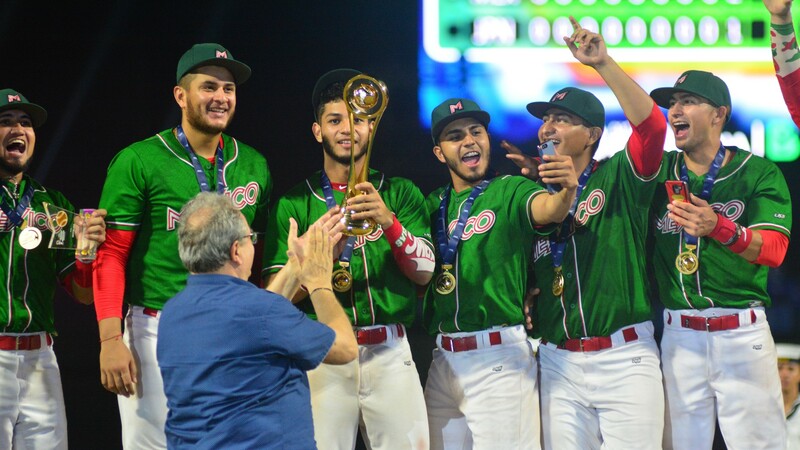 With a 2-1 win in a dramatic ten-inning final, Mariachis win the U-23 Baseball World Cup. 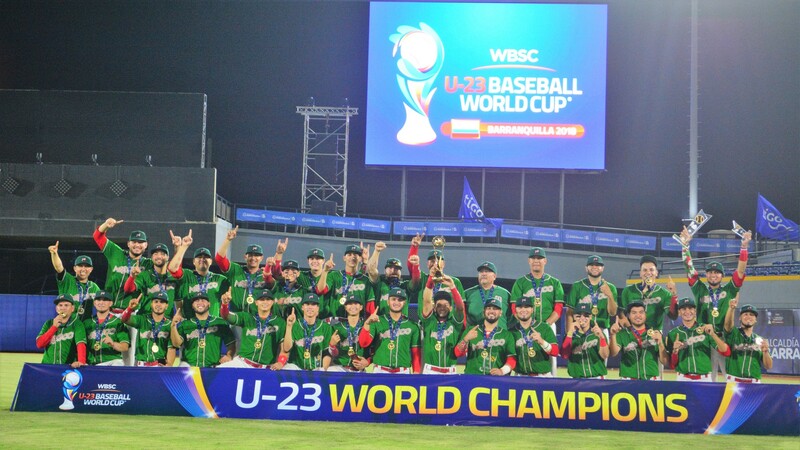 It’s the first ever baseball title for the Country. 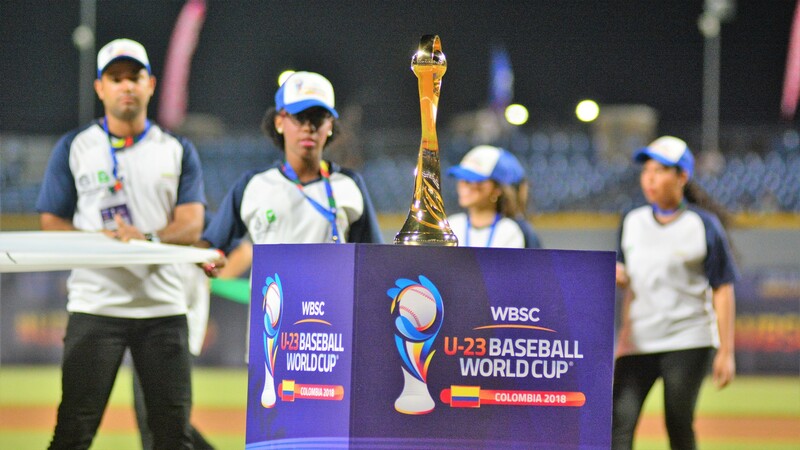 The final, played in front of 6,500 fans in Edgar Renteria stadium in Barranquilla, Colombia, may go to the history books as the epitome of the World Title game. 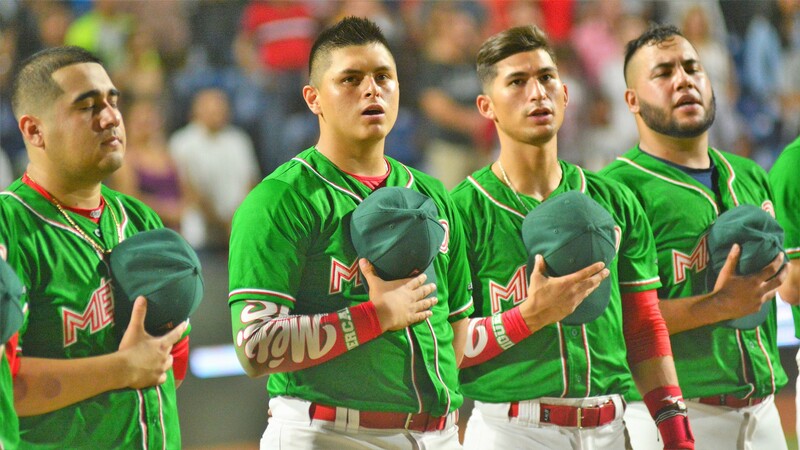 Starting pitchers Hiroki Kondo and Carlos Morales took a no score into the tenth and Mexico got the last out in a bases loaded situation. 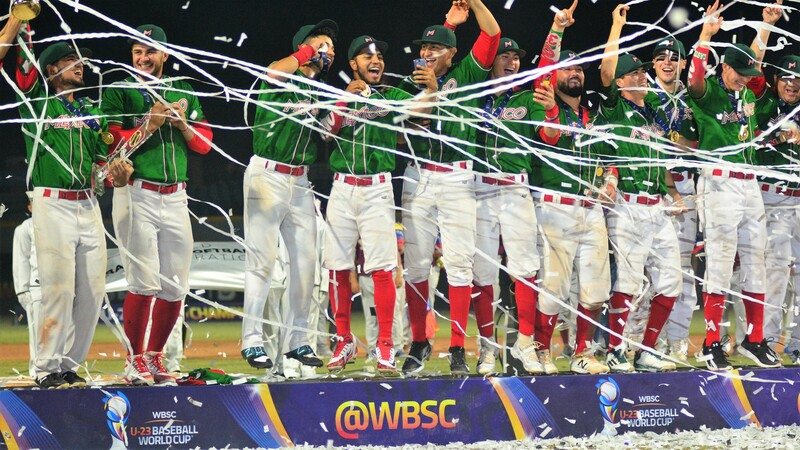 Mexico had the best chances to score, in the regular nine innings. With two outs in the top of the second, Alan Garcia singled. 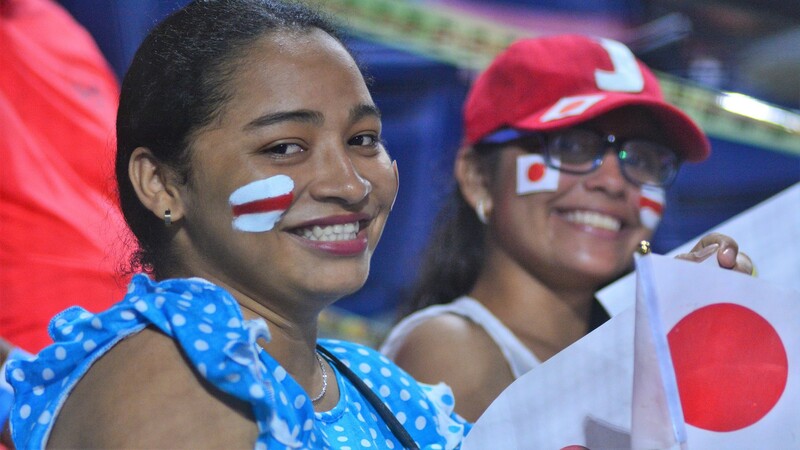 Orlando Piña and Bernardo Heras followed with back to back base hits. Heras’ hit went to right field, patrolled by phenom outfielder Ukyo Shuto. 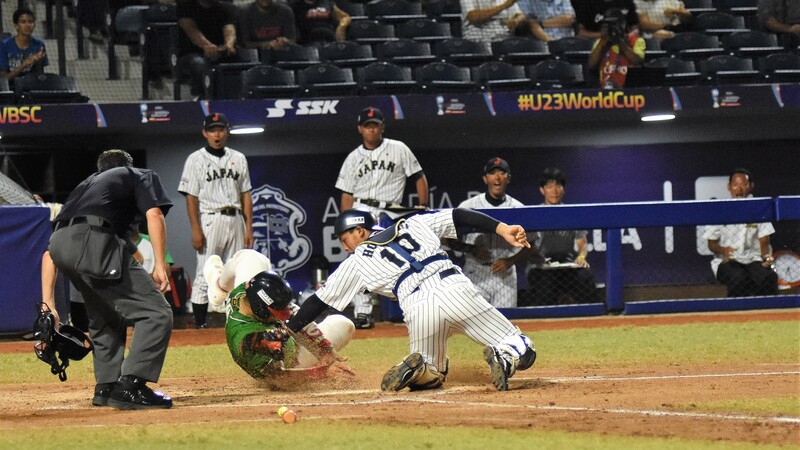 Shuto came up with a perfect throw home and catcher Hariuchi Kengo tagged Garcia for the out. It was the sixth assist by Shuto in the tournament. 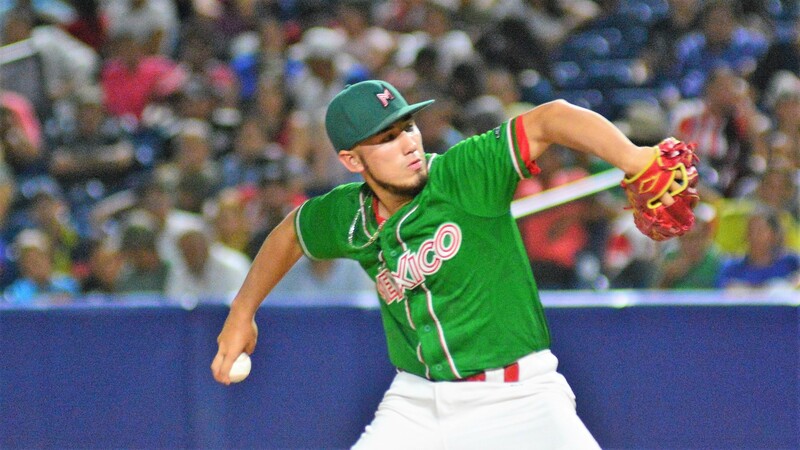 Mexico’s starter Carlos Morales no hit Japan, a team that entered the World Title Game with a .357 team batting average, for five innings. In the sixth, first baseman Julian Ornelas helped him with an outstanding catch on a hard-hit liner by Shuto himself. With two outs, Taiga Matsuo singled to left field. Japan won’t get another hit. 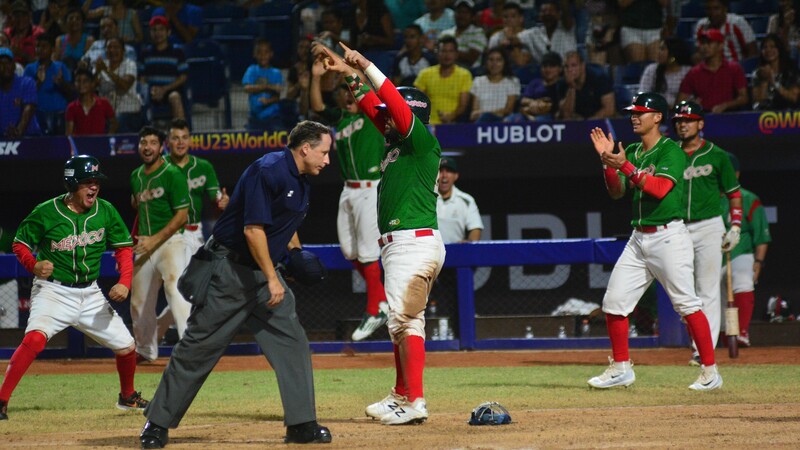 Josè Ureña led off the top of the seventh with a double, but Mexico couldn’t advance him any farther. Marco Jaime led off the top of the eighth with a single. Norberto Obeso failed to bunt him to second and another opportunity expired. Both teams went to the bullpen in the ninth. Kakeru Narita relieved Hiroki Kondo. 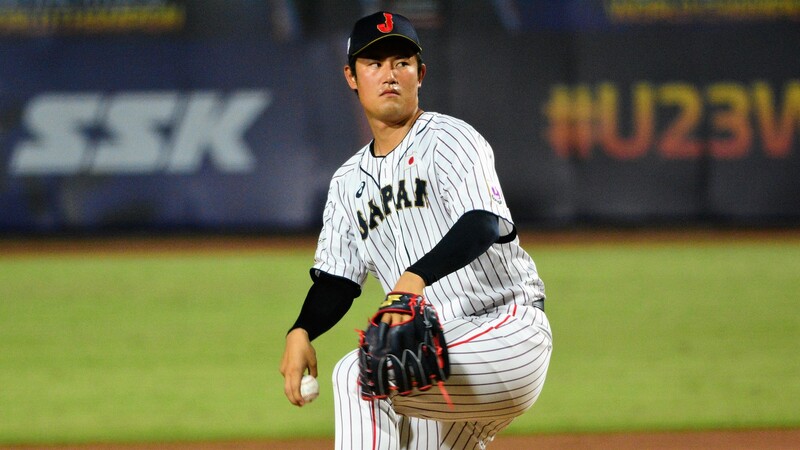 Japan’s hurler was not as phenomenal al Morales, but allowed no runs on seven hits, 99 pitches, issuing only a walk. Narita got started with a walk, then got away with it with a little help from shortstop Matsuo. Japan’s defense hasn’t committed an error in the whole tournament. 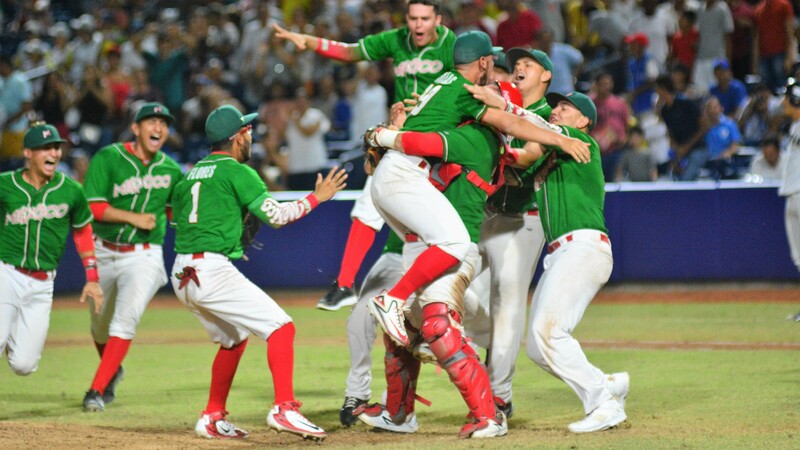 Mexico scored all the runs needed to win in the top of the tenth. Bernardo Heras bunted the tie break runners to second and third. Fabricio Macias looked at a ball, then singled up the middle to score both. 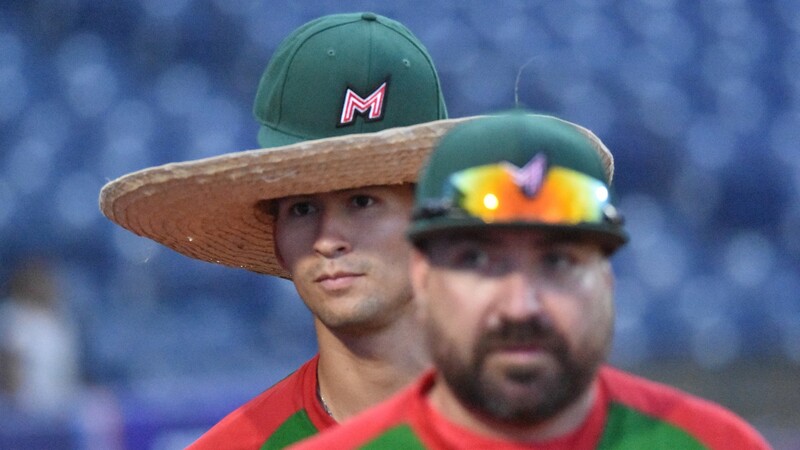 Rafael Ordaz had relieved in the top of the ninth Morales who, in his own words, had given “all he had” (99 pitches). 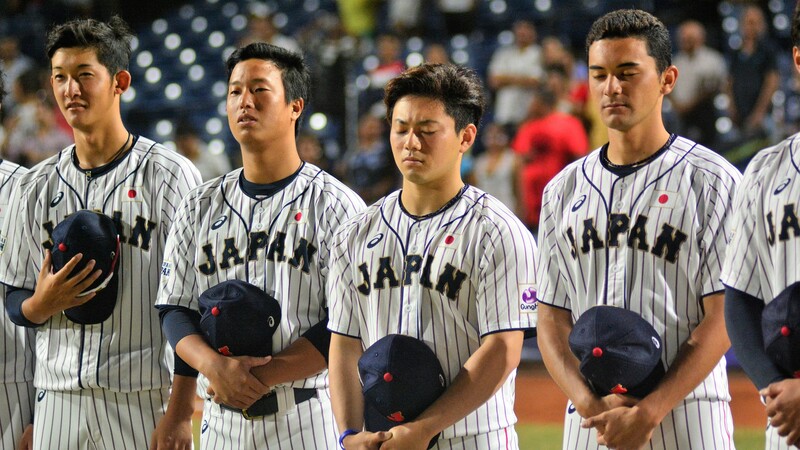 After Yasuhito Uchida bunted the tie break runners to second and third, Ordaz retired Hisanori Yasuda on a grounder, but couldn’t prevent Japan’s first run. Then he walked Kento Harasawa. 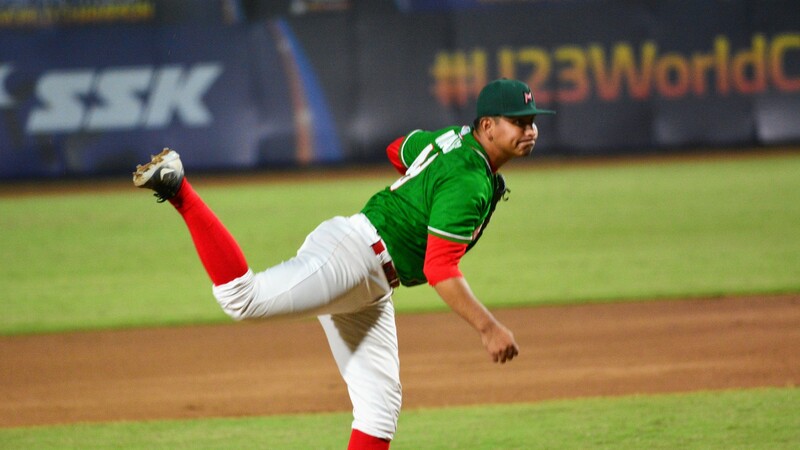 Mexico called Sergio Alvarado from the bullpen, but the newcomer walked the bases loaded. The ball went then to Erick Casillas, who got started with two balls. 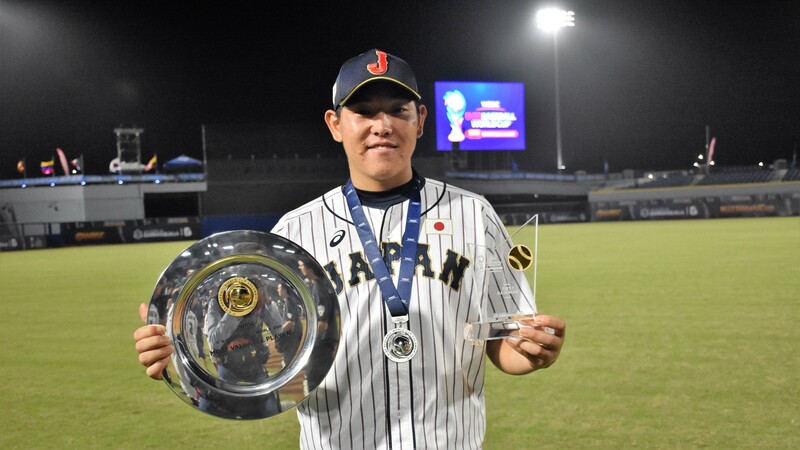 On a 2-2 count, Kenji Nishimaki flied out to right field to end the game.